Have you been considering a pergola for your backyard, deck, or pool area? A pergola is a great feature to add to any backyard, no matter where you may be placing it. There are many reasons why you should install a pergola. In fact, we wrote a blog about why you should install one over your deck recently. Nonetheless, this post will be about the wonderful benefits of pergolas in general. 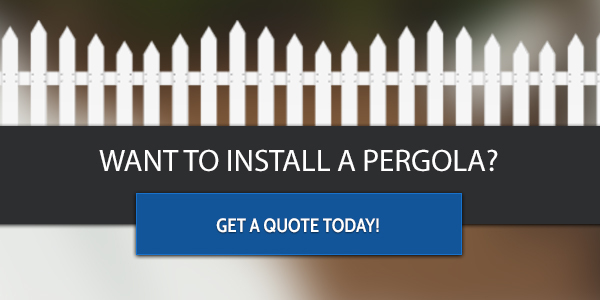 So if you’re on the fence about installing one, we hope to convince you to give us a call to design a pergola for you. As pergola installers in Fort Collins and the rest of northern Colorado, JJ Fencing & Decks enjoys helping our customers find the right size, style, and placement for their structures. 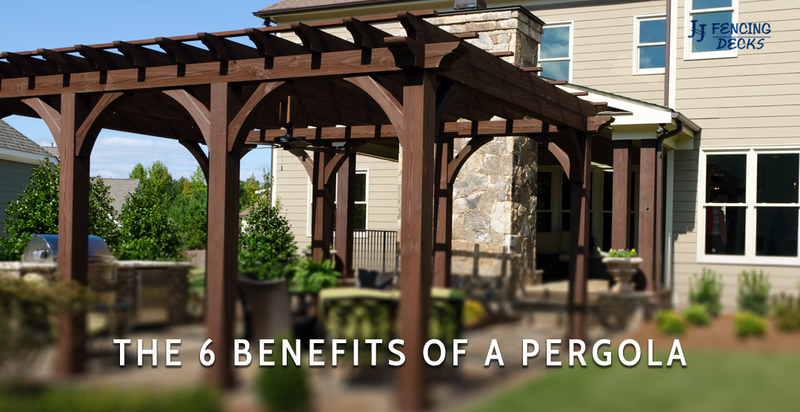 What’s more, we love sharing the benefits of installing a pergola. As a standalone structure, a pergola is stunningly beautiful. It adds another visually pleasing feature to your backyard, deck, or pool with little effort. What’s more, you can add plants, lights, seating, and more to enhance the pergolas natural beauty. Don’t have any more room on the deck or around the patio for plants? Install a pergola. The overhead features and posts will offer you room for a dozen plants, maybe more. This way, you will have as many plants as you desire. Compared to other structures like gazebos or sheds, a pergola is a great, affordable feature you can add to your backyard, deck, patio, or pool area for much less. The cost of a pergola is inexpensive for the value it adds to your life and your home. Your pergola will be the first thing you enjoy and the last thing you maintain in your backyard. They cast shade during the hot Colorado summers and they require little-to-no maintenance for years. Unless your pergola sustains damage, you will be able to enjoy it maintenance free for a long time, which saves you money and time. A sitting area, standing area, or a sandbox can benefit from the installation of a pergola overhead. Not only do pergolas provide shade, but they also help define the space they’re built over. Want to define the northwest corner of your deck as the sitting and chatting section? Install a pergola. Not only are pergolas low maintenance, but they are super durable. Once installed, a pergola will withstand the weather elements for years to come. Unless natural disaster finds your pergola, it will remain standing strong. Call JJ Fencing & Decks Today! After years of serving northern Colorado, JJ Fencing & Decks knows exactly what it takes to install a pergola so that it lasts for years to come. When you decide that a pergola is the right option for you, it’s time you give us a call. We’re here to serve your deck and pergola needs.